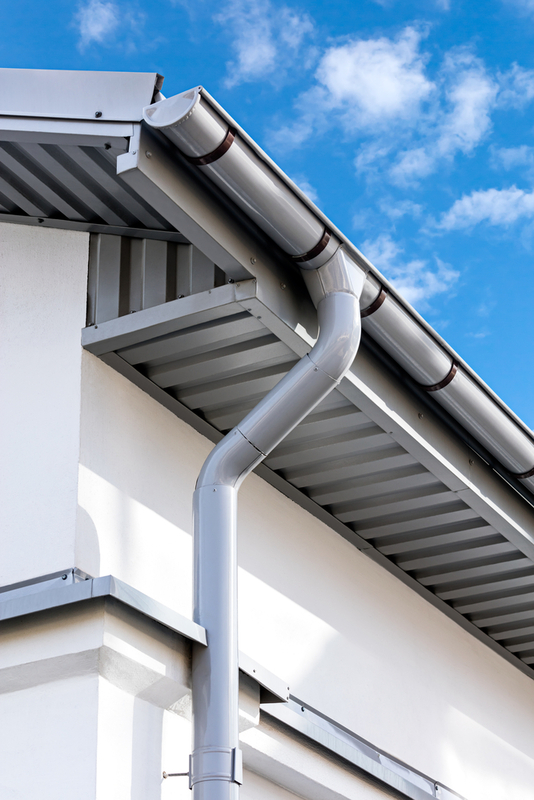 Gutters may seem like an obvious structural fixture, but until recently, they were actually considered more of a luxury than a necessity. In fact, many older structures don't even have gutters in place, and if they do, they're often not up to today's standards. According to the team at CL Siding & Construction in Newark, OH, the simple roofing device is imperative to keeping your home or business safe and free of water-related damage. Below, the roofing contractors explain the impressive benefits of gutters in more detail. One of the biggest issues facing homeowners and business owners alike is foundation damage. When water falls directly from your roof, it pools around the foundation of your home. From here, it can enter small service cracks in the concrete and cause them to expand over time. If major cracks or a split in the foundation occur, it puts your entire structure at risk for permanent damage and requires thousands of dollars in repairs. Gutters will help protect your foundation by directing the route of water safely away from the building. Roofing contractors often spot water damage throughout gutterless homes. As heavy rainfall runs down your roof and over the edge, it can create a small stream down the exterior walls of your home. If there are any small openings or damaged seals, it can enter the wall and cause extensive structural damage. Gutters help prevent this issue from occurring by keeping the water away from your home and distributing it safely throughout your yard. Roofing contractors also recommend gutters for preserving your lawn. Water runoff from your roof can pool around your shrubs and other plants and drown them. The process also produces fast-moving, temporary streams across your lawn that results in erosion. Such issues will result in hundreds of dollars in landscaping repairs and eventually prevent any plant life from successfully growing on your lawn. Gutters are a vital component for protecting your home and lawn from water damage and erosion. If your system is failing, or you don't have one in place, turn to the team at CL Siding & Construction for reliable and affordable assistance. For over 20 years, the fully licensed and insured roofing contractors have met the exterior home needs of residents and businesses across Licking County. From siding and windows to roofing and gutters, learn more about their services online, or request your free quote today by calling (740) 323-1406.